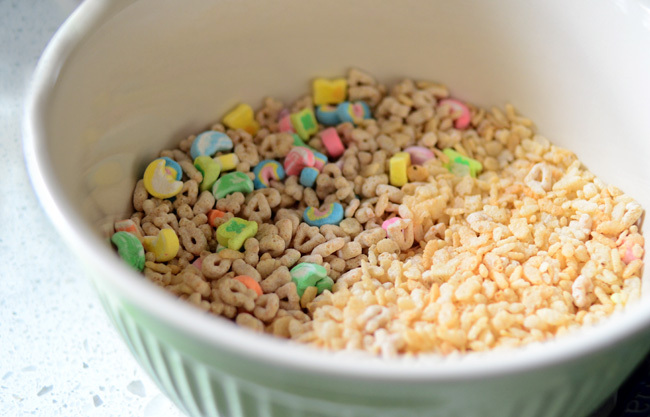 Although it's one of my favorite holidays, I haven't been that inspired by St. Patrick's Day this year. Perhaps it's because being 71/2 months pregnant prevents me from partaking in a pint, or maybe I'm just having a hard time believing March is already here. 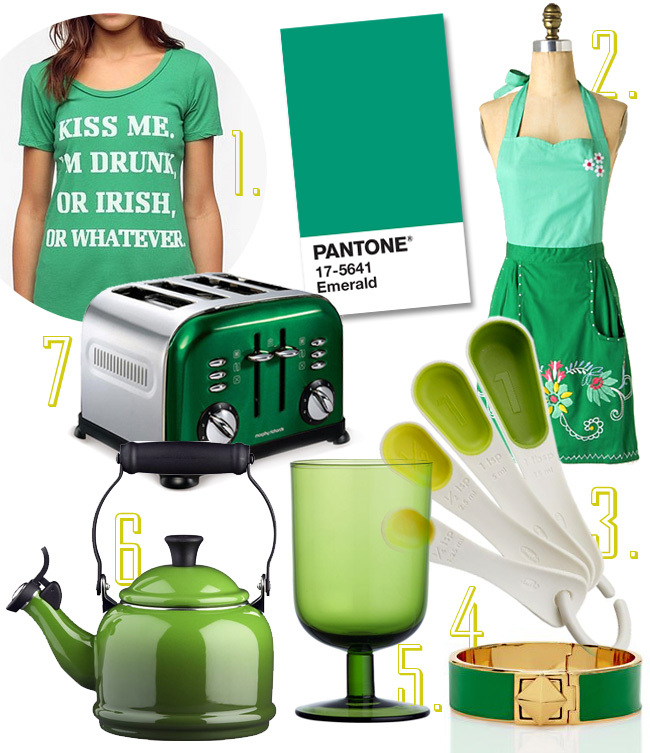 Needing some St. Paddy's direction, I drew inspiration from the colorful folks over at Pantone. 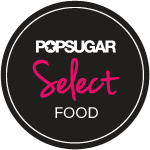 In choosing Emerald as the 2013 "Color of the Year", they picked an equally gorgeous and fitting color to motivate me this St. Patricks Day! Here are some random things I'm loving in Emerald right now. Seriously, I really want the toaster. 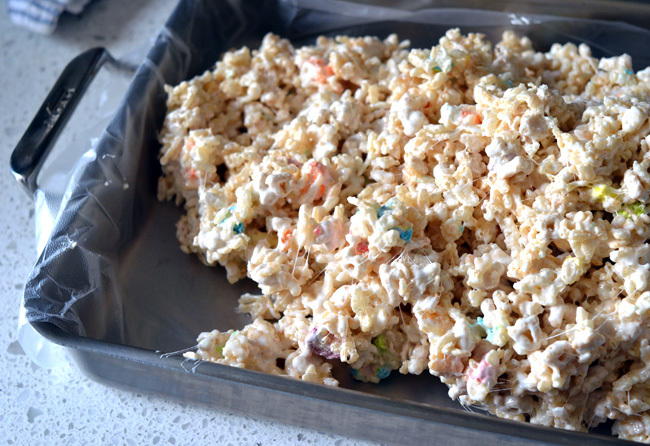 And since I've really been craving Rice Krispies Treats lately, I decided to go ahead and celebrate St. Patrick's Day with a batch of everyone's favorite (and easiest) treat. 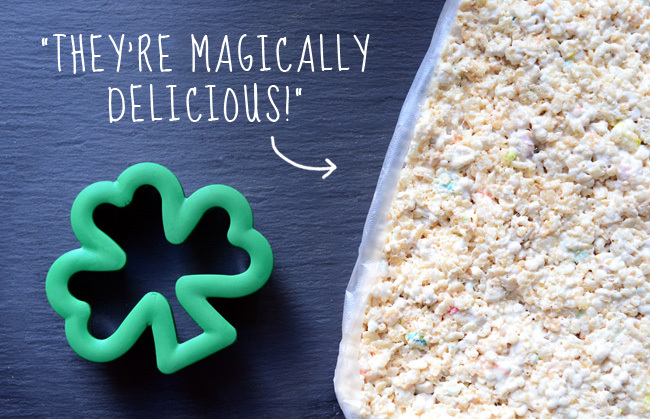 Yes, I'm sure the Irish would approve with the addition of Lucky Charms to the traditional Rice Krispies recipe. 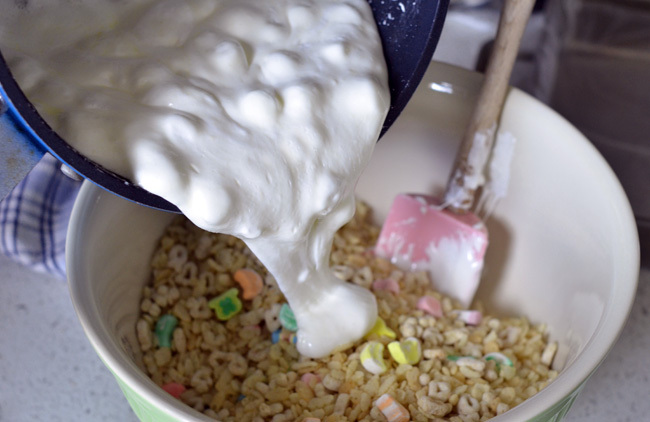 (Ok, maybe not, but a leprechaun sure would.) 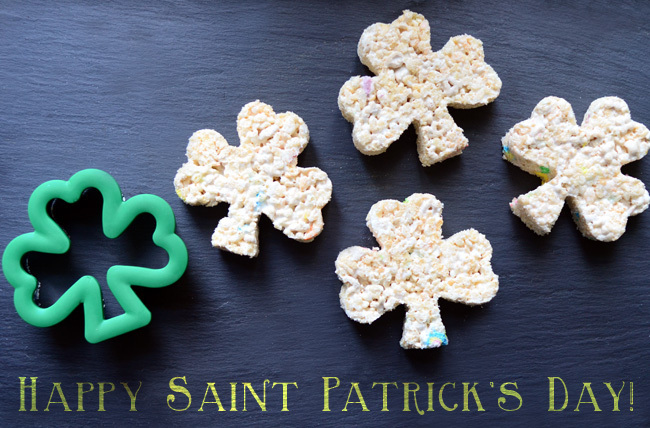 It may not be a passed down soda bread recipe, or even the Guinness Pots 'o Gold that I created last year, but these Rice Krispies treats really are magically delicious. 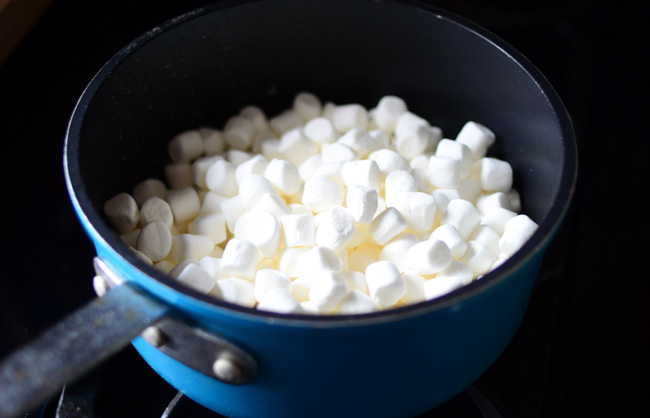 Here's the recipe, I just swapped out 2 cups of Rice Krispies for Lucy Charms.